The Easter holidays are upon us and new life is sprouting everywhere from the abundance of blossom in the trees and hedges to the lambs kicking up their heels in the spring grass. It is a perfect time to get the children interested in the nature and animals that surround them. Time to go hunting for tadpoles in the brook, to watch the ducklings attempt their first swim on the pond, to grow carrots in the garden. 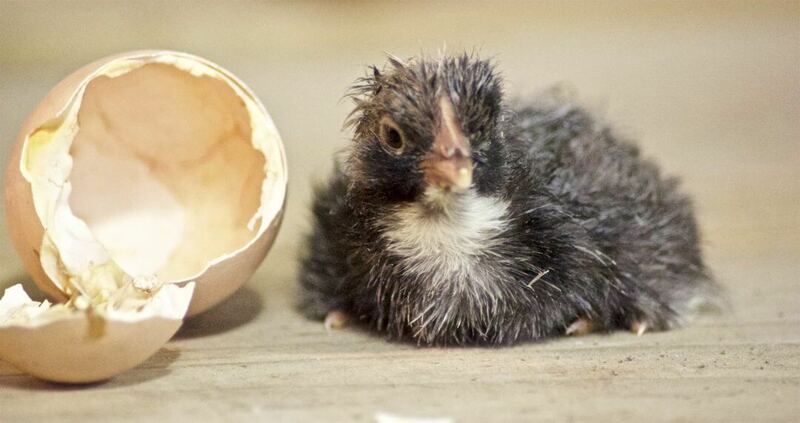 It is also a great time to see baby animals in the wild and on farms. 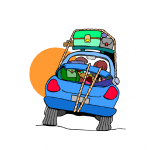 If you are keen to get camping in spring, there are many campsites based on farms or that have pet areas where children can get involved in feeding lambs, stroking rabbits, giggling at pigs and learning about a variety of animals. This can provide a fantastic extra dimension to your holiday and help cement some magical memories. 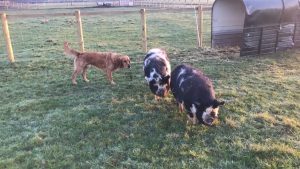 The Davis family are ably assisted by Floss the border collie sheep dog (when she fancies it), the horses Jonesy and Harry, and the cats – Ethel and Ernie who enjoy the occasional chat with campers. Stowford Farm Meadows in North Devon, is set amongst an incredible 500 acres of rolling countryside and mature woodland providing fabulous views and a safe environment for your perfect family camping holiday. From there, you can explore the blossoming hedgerows and woodland to find chicks in nests, rabbits, hares and numerous wild animals. 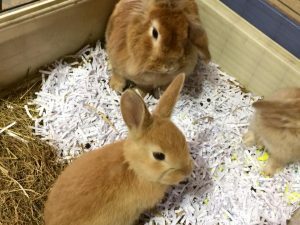 You could also venture into Petorama, their indoor petting zoo where you can see and touch baby goats, piglets, rabbits, guinea pigs, degus, plus lots more. Walton Court is a small working farm in the heart of the welsh countryside. As you enter the site, you will pass by their pond that has an abundance of wildlife: from the regular visiting mute swans, moorhens, wild ducks, a kingfisher, woodpeckers and herons to the frogspawn and tadpoles during spring. 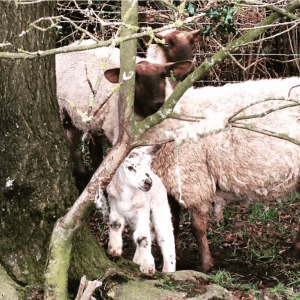 Camping in spring time at Walton Court means that you will see their flock of sheep adjusting to their new little ones, with “lamb gangs” in full force. Petruth Paddocks offers wild camping in wide open spaces where children are free to climb trees and hide in the hedges, fish for tadpoles in the rhynes (ditches) or take a ride on the back of the quad bike with Jules. Their animal section includes pigs, goats and sheep and they offer animal tours every weekend during the summer where they encourage campers to come and say hello to the team. 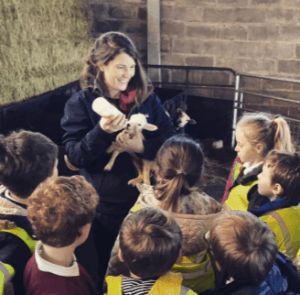 The Farm Camp in Wiltshire offers something a little different where the family can become truly immersed in countryside living. 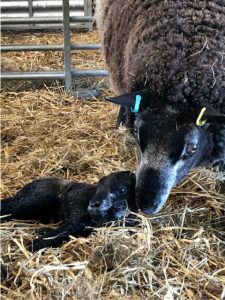 Over Easter, they are in full swing with “lambing live” and have dedicated staff to offer experiences in farm craft and sheep herding amongst a raft of other activities. A beautifully rural site, within fields and woodland, this is prime memory-making time for the whole family as you relax into the beautifully furnished bell tents with wood burning stoves to keep you cosy. Many wait until summer for their holiday, but they could be missing out on some of the magical moments up for grabs by camping in spring. Having a look for campsites with animals could be a great way to get an early holiday in – just remember to take a few extra layers!